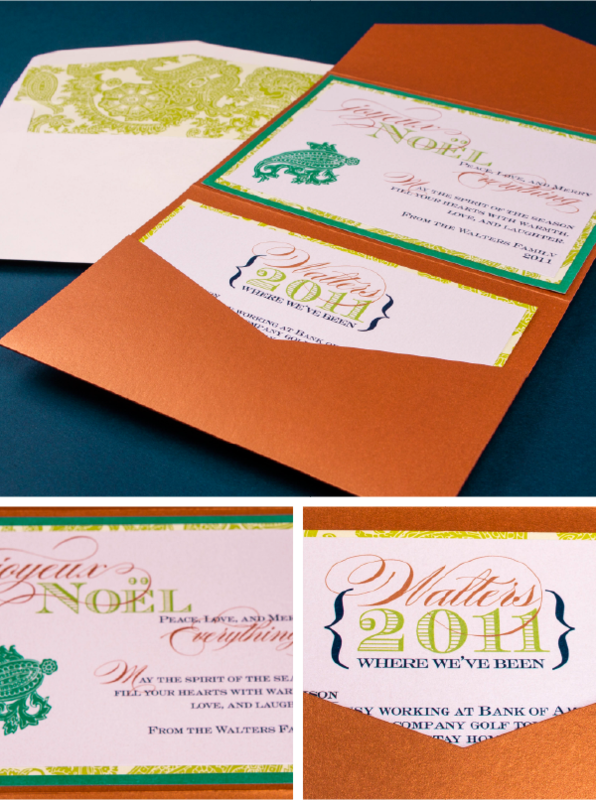 Create something new with custom holiday cards! 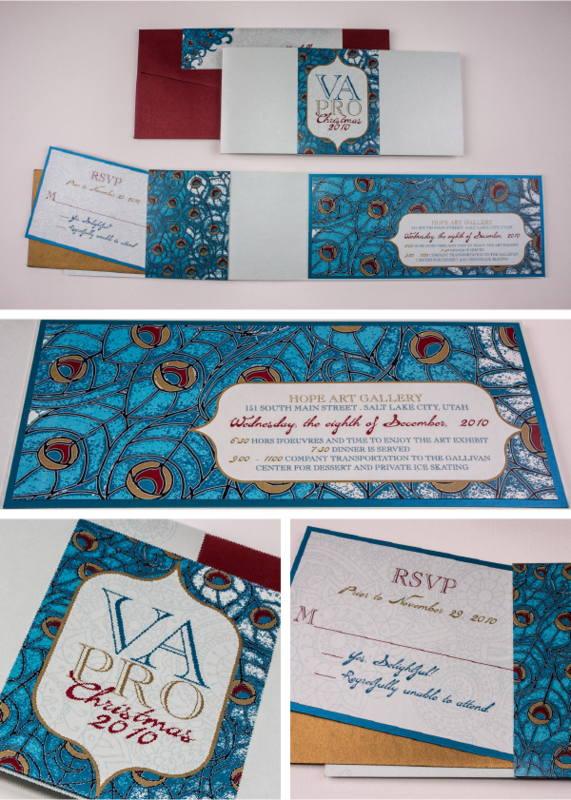 Here at Ann Elizabeth we pride ourselves on providing our clients custom made paper goods that are unique and fitting for any occasion. That's why this week I decided to share some of our more elaborate custom holiday cards where we’ve taken a clients vision and brought it to life in a greeting card they can send out to their loved ones. This fan holiday card gave this family a great organized way to feature each person in their family and share what they have been up to in the past year. To polish this modern, chic ensemble, we printed the back of each of the pieces with a brightly colored pattern that stands up to the bold colors of the photography. 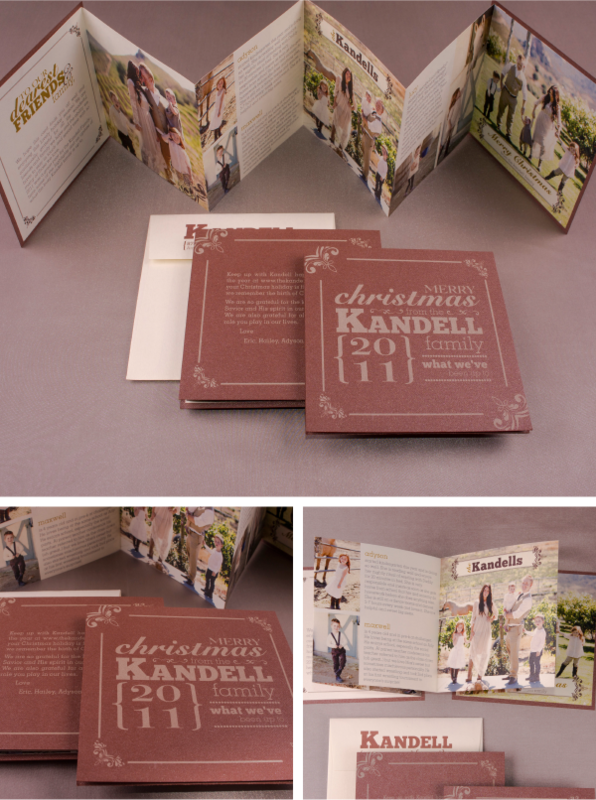 The accordion style holiday card gave us a unique way to maximize the space for multiple pictures and places for the family to talk about their past year. 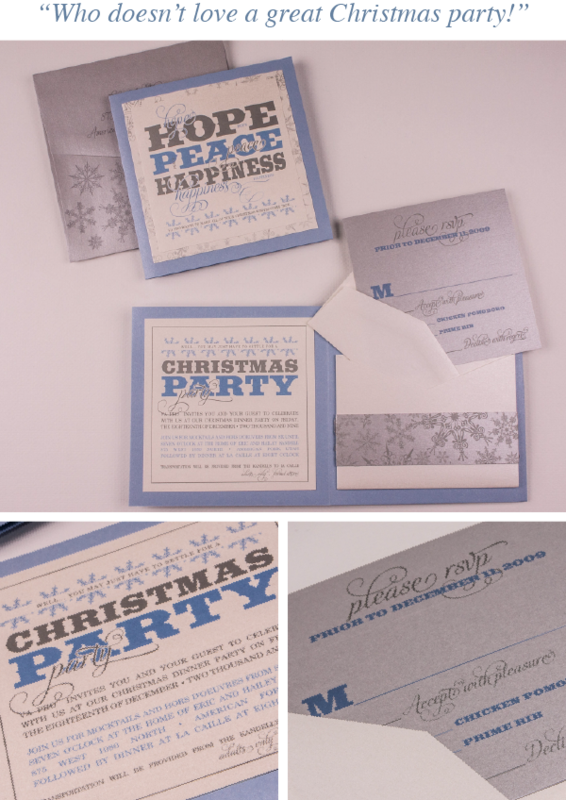 I love how this card can easily compact into a small envelope and when opened become a wow factor! 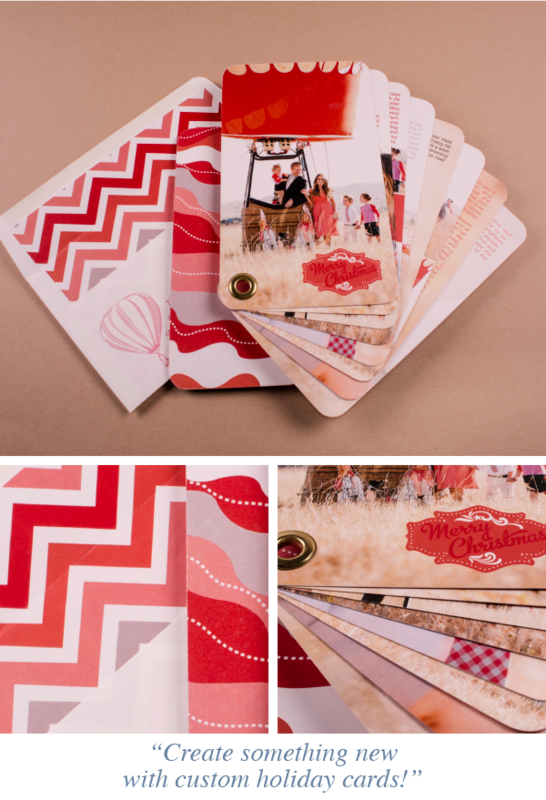 Our next grouping shows a pocket style greeting card. With pops of metallic colors and multiple layers this gorgeous greeting card says it all! If your looking for something unique that will show off your family this year, call the experts at out studio to help you design the perfect greeting card for this year!